You unlock your phone for the morning and check your calendar app for your first meeting time. At the office you get an urgent call right as you’re about to go into the meeting, so you need to communicate to your team ASAP that you’ll be late. You open a collaboration app to send them a quick message. Another app, your email, dings as you finish your call. No time right now, but you open a fourth app to leave yourself a note to make it a priority to answer that email. One hour. Four different apps. A room full of people, plus a phone call and email you can’t afford to forget. If you’re a start-up or a growing business, there are some really great reasons to migrate to Office 365. If you’re looking for a way to supercharge your efficiency and team communication, it’s worth your time to read on. Microsoft’s Office 365 is a suite of tools that integrate with each other, so you don’t waste valuable time frazzling back and forth between disconnected apps to make it through your work day without forgetting something important. Your entire day can be in one navigable place, along with bonus insights like how many people really read the important message you sent and how many just skimmed it. 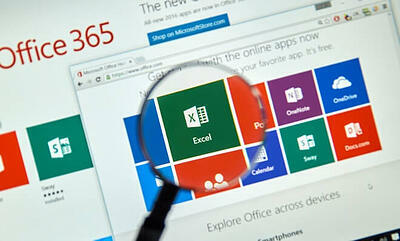 It’s tricky to migrate from another email service to Office 365’s email service, Outlook. We highly recommend you reach out to an IT specialist (here’s our favorite) when you’re ready to make the switch. We’ve seen clients who tried to DIY their migration experience headaches like loss of important emails, loss of important contact info, and inconsistent forwarding of messages that get sent to your old email address. Varay can show you how leverage Office 365 will bring your team to the next level. We’ll take the time to help you and your staff understand what each tool does and how to make the most of it. Varay can make your venture into Office 365 painless, whether you are starting from scratch or migrating from another platform. Contact us today to stop wasting time.